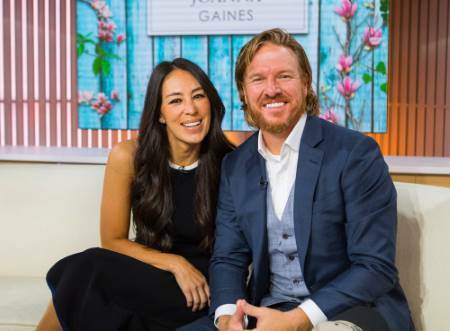 Joanna Gaines shares the cutest picture of her baby getting his passport pictures with dad Chip. Only a few months old and baby Crew is already going places. 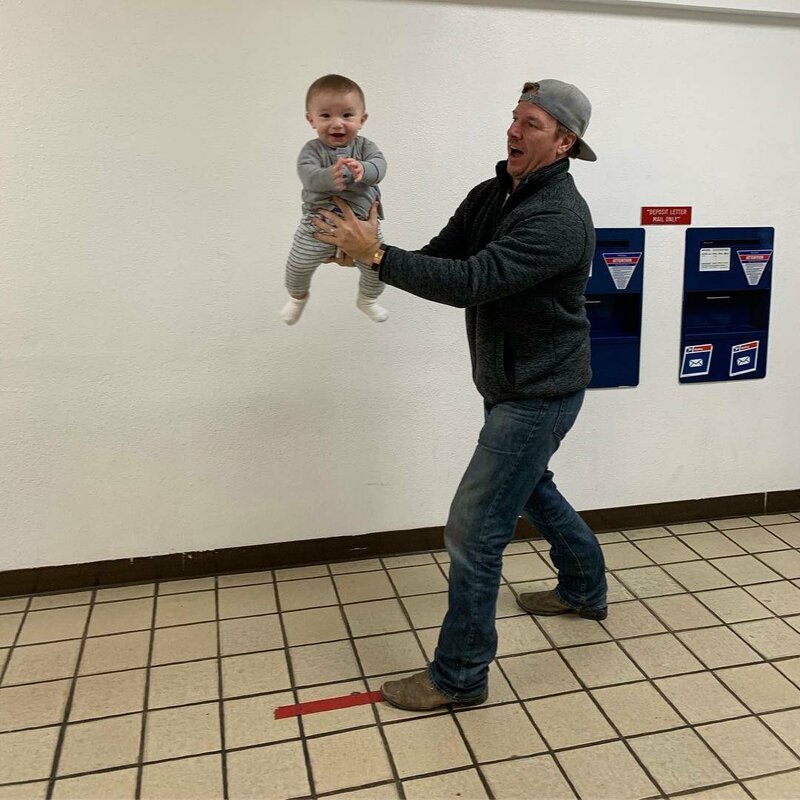 Actress Joanna Stevens Gaines recently posted cute pictures of her son on Tuesday all smiling with his dad in action as he gets his passport pictures taken. Joanna's husband Chip Gaines supported the passport pictures by holding the happy child in front of a black and white wall whilst the photographer clicked some adorable pictures. Seven months old baby Crew can be seen in a grey sweater and grey striped trousers for his passport pictures. He looks all giggly as his dad pretends to throw him up in the air. Likewise, the daddy of baby Crew wore all casual from top to bottom with blue faded jeans, dark grey sweater, brown shoes, and a matching gray cap. Joanna concluded the captioned with a yellow love emoji at the end. Joanna and Chip welcomed their youngest and fifth child Baby Crew, last year in June. Upon the deliverance of Crew, 40 years old Joanna revealed in an interview that his older siblings; Drake Gaines, Ella Rose Gaines, Emmie Kay Gaines, and Duke Gaines are all obsessed with their youngest child and in fact help her and Chip raise him. 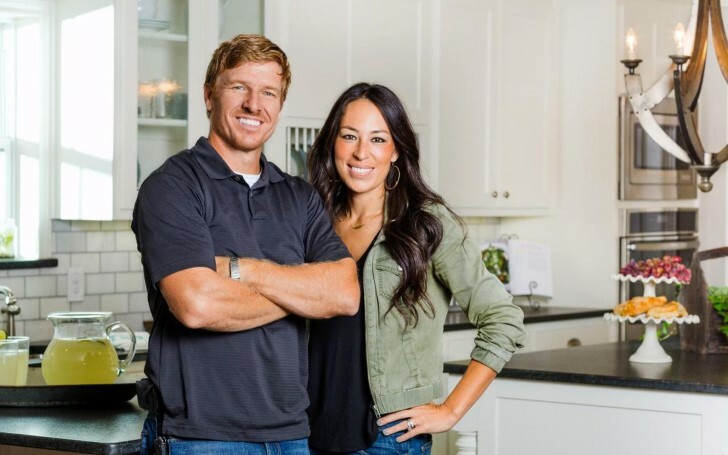 The Gaines couple announced last fall that the two are working on a new network with HGTV parent Discovery. Calling the channel Magnolia Network the two already started working on it.